Been a bit active lately. First, there was the Love and Anarchy international film festival. I watched ten movies, of which only one was crap, most were okay and then there were a few better ones. The movie I looked forward to the most was Samurai Rauni Reposaarelainen, mainly because it was directed by multitalent Mika Rättö, best known as the singer of Circle (which is one of my all time favourite Finnish bands). 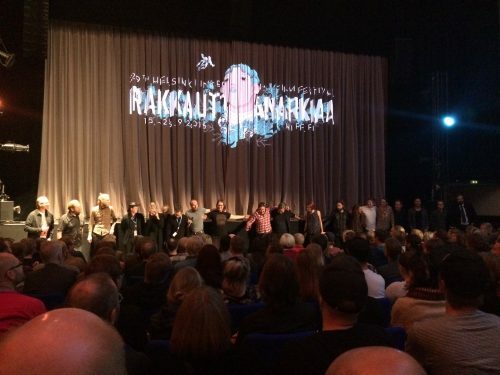 The crew of Samurai Rauni Reposaari after its premier screening. The movie turned out to be a mess with the plot, but the visuals and wonky humor made it worth seeing. As the director himself said, the film was a practice round and they will be more experienced with the next one. That would certainly have a potential to become something really special in Finnish film and I wouldn’t be surprised if it had a Alejandro Jodorowsky touch to it. I also decided to break the mold of just going to rock and jazz clubs and bought a season ticket to the Helsinki Philharmonic Orchestra playing at the Musiikkitalo. It was welcomed change: there are comfortable seats, the acoustics are better than average and there was no need for ear plugs. The orchestra was good too, although I didn’t have any idea what I was about to listen to. Learning. The Helsinki Music Centre. First time I was in the main hall. Finally, last weekend I went to the countryside to let out some stress. 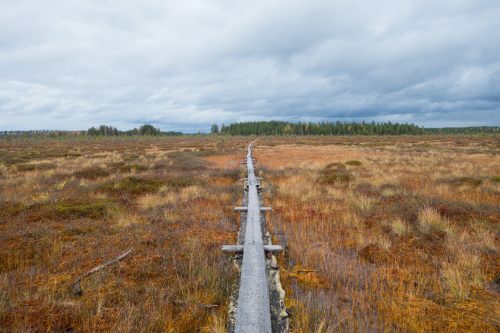 I ended up walking around a swamp for five hours, which was quite nice really. Especially since there were no blood sucking insects bothering me. A swamp: when you don’t want to see people around. Yet I have to admit things aren’t going really top notch at the moment. My social track record has been a disaster lately and I can only blame myself for it, since the problem is all in my mind and attitude. The good thing is that these are fixable problems, it just requires some mental stamina and courage. I’ll crack it in the end.